A new entry-level sedan positioned well below the Quattroporte. The spiritual successor to the Biturbo 425/430 sedans (yes, we know you were waiting breathlessly for one) is significantly bigger than those cars. 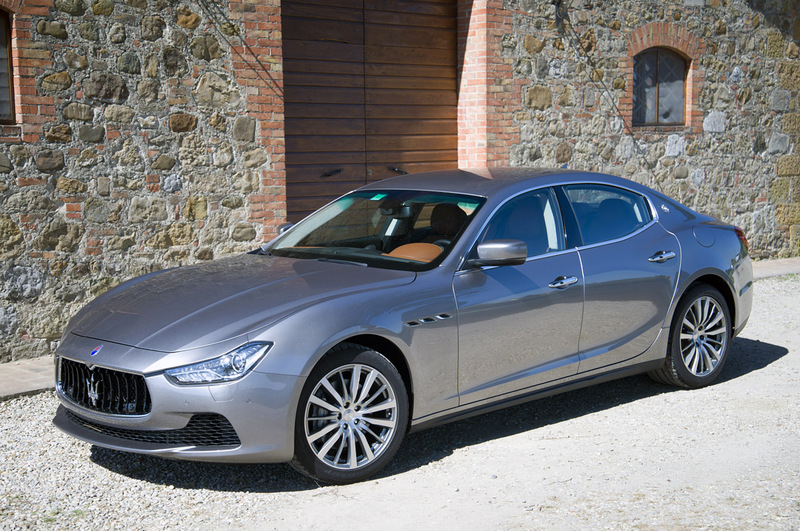 The Ghibli embraces Maserati's current styling language, and looks essentially like a smaller Q'porte. Fiat boss Sergio Marchionne wants to crank up volume and squeeze more out of the Maserati brand's aura. The Ghibli aims to be a vehicle of choice for design and performance aficionados on a budget, of sorts. Those who can afford an E-class will be able to lay out for this Italian alternative. The Ghibli shares hardware with its big-brother Quattroporte—albeit downsized and slightly evolved—which means rear-wheel drive as standard. Naturally, Maserati promises sporty dynamics. The entry-level engine is a turbocharged V-6, while the range-topper is, well, also a turbocharged V-6, making 404 horsepower. (Rumor has it that a twin-turbo V-8 developed by Ferrari could be added to the lineup later.) Europe also will see a diesel, because diesels matter to buyers in E-class territory. All engines mate to a ZF-sourced eight-speed automatic and all-wheel drive will be available. Labeling a small sedan "Ghibli" flirts dangerously with sacrilege. Taking on blue-chip German competition now, Maserati must convince potential buyers that they won't get stranded. For 2014, at around $65,000 for the entry model.